2012 marks the 25th anniversary of a significant milestone in crystal collectibles. In 1987 Crystal World revolutionized the crystal figurines marketplace by launching their Original Rainbow Castle Collection®. 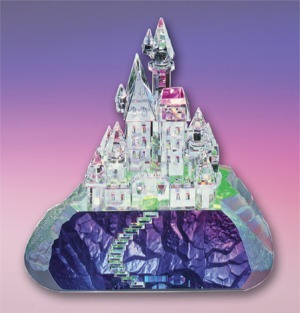 The first Rainbow Castle, by Crystal World Founding Artist Rudy Nakai, was one of the most popular collectibles of all time. 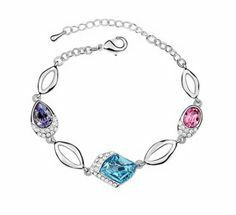 Its release began the trend toward using colored crystal in figurines and other crystal collectibles. 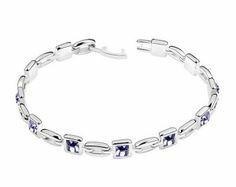 Before this, crystal figurines were only available in clear, uncolored crystal. Crystal World currently offers Enchanted Castle (left), Small Rainbow Castle and Medium Fantasy Castle with Nakai’s signature rainbow-colored bases. Enchanted Castle was Voted Best Architectural Collectible of the Year by the readers of Collector Editions magazine. Each of these crystal castle figurines is handcrafted from full-cut faceted crystal and Enchanted Castle is issued in a Limited Edition of 750 pieces. 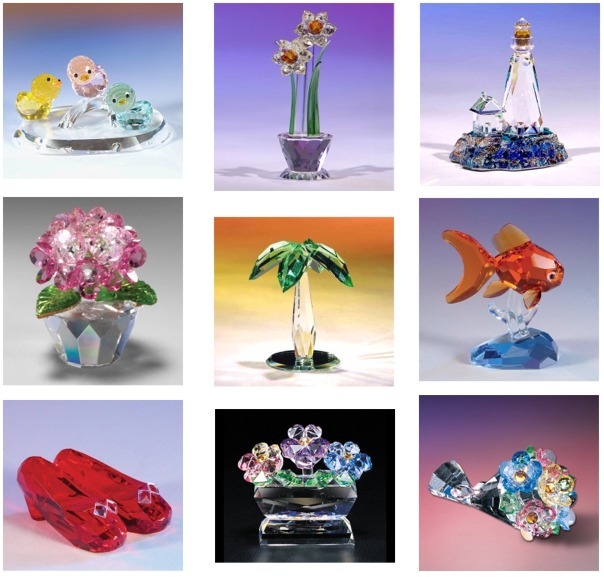 Over the years, Crystal World has expanded beyond rainbow castles and created many figurines with colored crystal components, adding another level of sparkle and excitement to their artistic designs. Here is a sampling of the many figurines in Crystal World’s collection that use colored crystals.